It seems everyone has a blog these days, from your dentist to your neighbor, to your accountant. 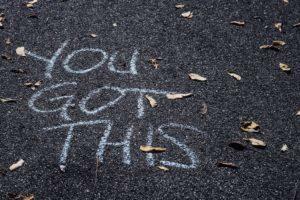 But is blogging really a worthwhile effort for your company? What are the benefits of blogging for businesses and does it actually pay off? Aren’t blogs primarily just for influencers? If you aren’t adding content to your website, you’re missing out on the many benefits of blogging for businesses. Of course, you know time is money and you wouldn’t be much of a business owner without performing a cost/benefit analysis. 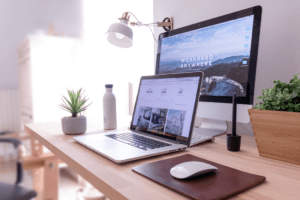 So here are 8 of the unbeatable benefits of blogging for your business (and why you should set your business blog as a top priority). Whether you’re running a design company, a manufacturing business, a bank, or a construction firm, blogging is an important endeavor. It may seem low on the priority list, but studies show 55% of Fortune 500 companies have blogs and that number continues to grow. Blogging and content marketing help contribute to your long-term success. Here’s why blogging benefits business. Does blogging really boost your search engine traffic? You betcha. 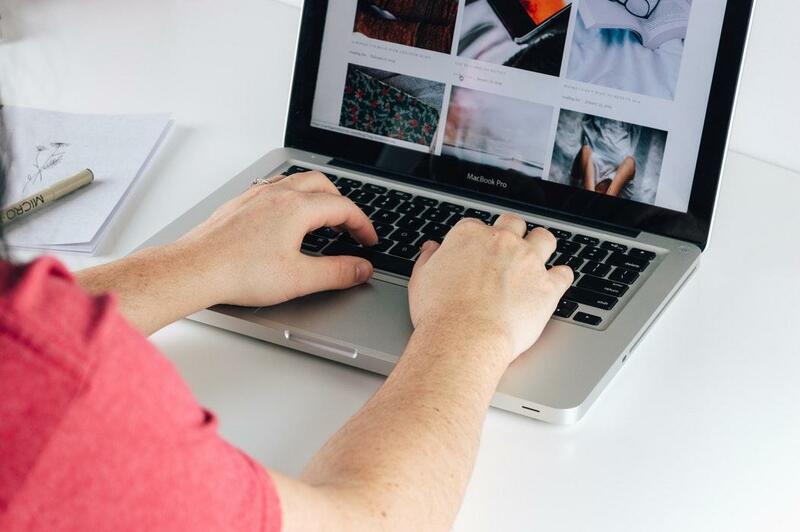 If you want to bring in more visitors to your website, connect with customers, and rank higher in search, there’s nothing like a blog to help you increase your web presence. A blog is part of the SEO (search engine optimization) of your website. To rank higher in search you need to offer regularly updated, authoritative, valuable content. Yes, you need to optimize other pages on your website as well, but adding a blog is a smart step for assisting with the SEO of your overall website. Increasing search engine traffic is one of the major benefits of blogging for businesses. What should you blog about? Look at your business’s areas of expertise. What would you like to share with your customers? You could discuss inside stories about your products. You could offer customers new ideas and uses for your services. Talk about the story of your organization and the value you bring to the community. When it comes to blogging, the most important factor is creating valuable material for your readers. Creating a blog isn’t about tricking search engines to drive traffic to your website. It’s about offering new and improved reasons for visitors to discover you and linger on your site longer. Remember, search engines favor well-written, authoritative content that answers a searchers specific query. Follow these rules and there’s no limit to the benefits blogging will bring to your business. Is your sales team looking to generate leads? Of course—what sales team doesn’t love new customers?! It’s become the norm for customers to “Google” a business before they ever visit a storefront (or even purchase online). In fact, 92% of customers visit a website first, well before they make a purchase. If you don’t show up in search, potential customers may never find you! 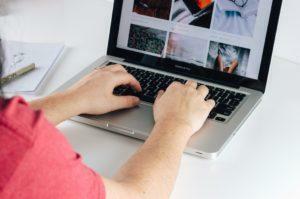 There are also other ways for your sales team to connect with potential customers through your blog. Consider offering leads additional, valuable content, if they “opt-in” by giving you their email address. These opt-in pieces of content may include all sorts of valuable items. Case studies, eBooks, white papers, instructions, how-to videos, and printable tip/cheat-sheets are a few options of enhanced lead-magnet content to draw in potential customers. The important idea is offering clients value in exchange for their valuable contact information. Once you’ve captured the information, start to build your relationship with your potential customers, establishing your position as a brand and thought leader. Customers today expect to build a relationship with a business before they purchase. They want brands who “get them” and who they can connect with. They hope the business will anticipate and cater to their needs. Like establishing any great relationship, you don’t want to come on too strong (or stalkerish) but you want to let clients know you’re interested and you realize their needs. Show your customers you “get” them by offering valuable content on your blog with a chance to “opt in” for even more information. 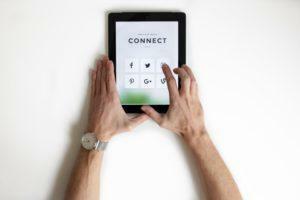 If you run a small business, you know juggling social media takes a lot of work and concerted effort. We’ve all seen businesses who are sporadic at best with their social media posts. One week, they’re cluttering up everyone’s newsfeed on the daily. The next week, they’re on radio silence. When it comes to social media success, consistency is the name of the game. Customers want regular, interesting, fun engagement. Look at Merriam-Webster for example. They realized most people weren’t going to follow a dictionary on social media unless they made content more interesting than the “word of the day.” Thanks to witty, valuable, and well-written content, they enjoy a major cult following, especially on Twitter. So, what’s a regular business to do (especially if you don’t have any quirky comedic social media wunderkinds on staff)? 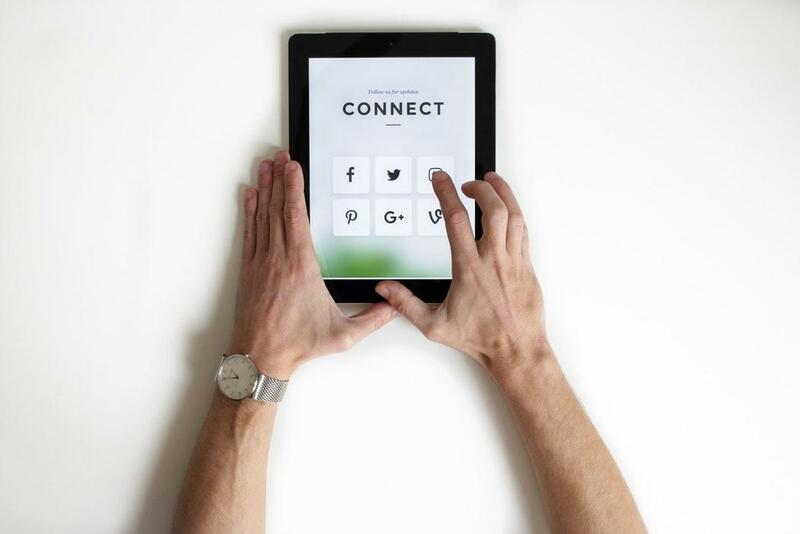 One of the top benefits of blogging for businesses is you’re automatically generating a regular stream of engaging content to share via social media. Blogs are usually shared when they’re first published, but it’s smart to also re-share great blogs later on down the road. Looking at your analytics, find your top performing content and repost it regularly. It may be an effective idea to give your great-but-aging evergreen content a refresh and show it off once again. It’s not about reinventing the wheel but following the old adage of working smarter, NOT harder. Look, you know your business. Chances are you know your business better than ANYONE else in the world. You have so much authority, you could probably write a novel on your company (if only you had the time). One of the benefits of blogging for businesses is establishing your subject matter expertise online. You see, search engines LOVE authoritative content. At the end of the day, the goal of a search engine is to “answer queries more effectively.” Search engines are created to provide searchers with the very best, most in-depth, accurate answers to their query. Now, we know YOU are the utmost authority on your business. You know all the ins and outs and could explain it in your sleep! One of the benefits of blogging is the opportunity to capture those expert insights and add them as content to your website. You’re essentially establishing a home for your genius to live on the web. With a simple search, clients, customers, peers, and anyone else will find out all you’re ready to share about your business. Establishing your authority as an industry leader is powerful magic. The louder your voice, the more people will listen and flock to your business. Think of your blog as a megaphone. If you want to showcase your expertise, blogging is an excellent method. Save your novel for retirement and get your message out to your customers on your blog today. Are you thinking you wish you had time to blog? 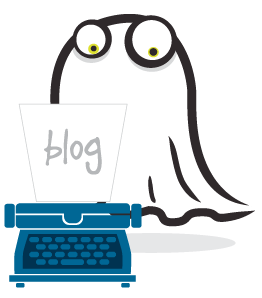 Well, here at Posts By Ghost, we’re experts at capturing your voice, digging into the contents of your brain (painlessly, we promise), and producing solid SEO blog content. 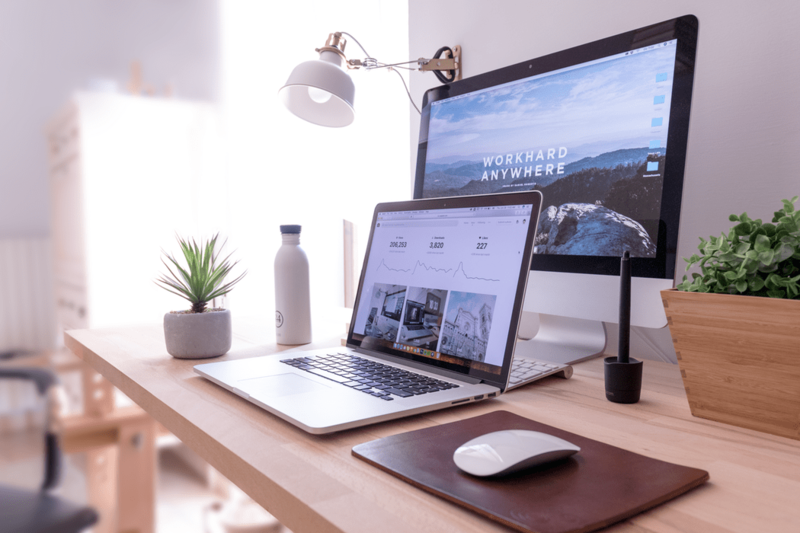 We will help you clean up your company’s blog, establish a strong voice and branding guidelines, and come up with excellent SEO-friendly content ideas. We’re staffed with expert writers who possess the unique ability to produce engaging, technical, optimized content. We’re ready to help you find blogging success for your business! TRUST. It’s a big deal in business. We all get caught up in the idea of attracting shiny new customers…but building trust with existing customers is arguably much more important. After all, it costs 5 times more to acquire a new customer than it does to retain a current one. One of the major benefits of blogging for businesses is the way it gives you a real voice your existing customers will relate to. You’re no longer an anonymous “brand” like KFC or Microsoft. You’re the Colonel, Bill Gates…you’re an actual human. We’ve all seen the power of influencers in the media. In fact, as Kylie Jenner nabbed the title of youngest self-made BILLIONAIRE, largely due to her online presence, the power of influencers is undeniable. On a smaller scale, many bloggers make full-time careers out of simply sharing their lives, knowledge, and influence on their blog readers. Instead of thinking of yourself as a brand, think of your presence as an influencer. 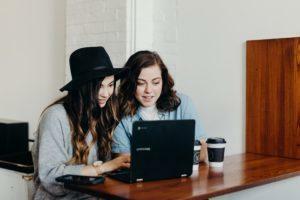 Yes, you’re running a business, not simply a blog (Kylie Jenner is also running a cosmetics empire, so there you go), but the power of blogging for businesses is you become real and connected to your readers. Clients trust you because you’re a human being with a recognizable voice. DemandMetric reports over 80% of customers feel more positively after viewing custom content. Your online content gives you a stronger presence, more authority, and most importantly, more authenticity. Besides trust, blogging also offers added value to your existing customers. It gives them an inside look at your business. They will find answers to their questions, learn more about how the company works, and discover valuable instructions and insights on your product. If you offer customers opt-in content, insightful media (like videos and infographics), and access to a regular e-newsletter, they become part of your posse. They’re valued members of your business and they’ll see added value IN your business. This added value is particularly effective for businesses who offer products or services with a less-regular demand. If a customer only needs to buy your widgets once a year, how do you keep them engaged during the 11 months they don’t need your product? You offer them added value by giving them insightful content. Maybe through reading the content, they realize you also manufacture widgets and doodles, which they also need. Perhaps they have a question about the performance of their widget, or if the widget is working optimally. Maybe they’re hoping to bling out their widget and are looking for widget accessories. By offering valuable content to your customer, you stay at the forefront of their mind. When it’s time to buy again, they’ll instantly think of you. Blogging offers your business a method for regular, deliberate, and beneficial contact with your clientele. Looking for ways to cut your marketing budget? Is a Super Bowl ad not in the financial cards for your business this year? There’s a big benefit of blogging for businesses—blogging isn’t as expensive as most forms of advertising. In fact, even if you outsource your content creation, technical setup, and SEO, you’ll still get a big bang for your marketing buck. Content marketing is inexpensive because you own the real estate. You’re not paying for a billboard on someone else’s property or 30 seconds on someone’s broadcast. The more authoritative, valuable, and well-written your content, the more likely it is to get shared and passed on. Word-of-mouth advertising becomes easy when customers are given a shareable piece of information. If your content is optimized for search, clients will find you—the perfect answer to their query. It’s worth investing time and effort into your blog because the cost/benefit ratio is high. If you want to promote who you are and what you do, a blog is an easy answer and one which will quickly pay for itself. Like the way blogging offers shareable content to your customers and readers, it also offers linkable content to other businesses and bloggers. When another blogger links to your website, it’s called a “backlink.” Backlinks will help you build even more authority (and are great for SEO). By providing plenty of great, linkable content on your website, you’re encouraging affinity groups and businesses to include you in their dialogue with readers. You’ll further establish yourself as an industry leader and a strong voice. Related businesses will want to share in your spotlight by linking to your materials. Content offers material perfect for linking and sharing, provided it’s current and well-written. This is one more reason why you should regularly check the technical health of the backend of your blog. You’ll want to ensure any backlinks are working (and check the content you’ve linked to as well, to ensure relevancy and functioning). If you’re wondering about the health of your business blog, it’s time for a Posts By Ghost content audit. We’ll go through your blog, assess the optimization levels, ensure links are working, and let you know what content is performing (and what content is weighing you down). From there, we’ll work with you to establish a step-by-step plan to address any technical issues and enhance the content and performance of your blog. There are many benefits of blogging for businesses. 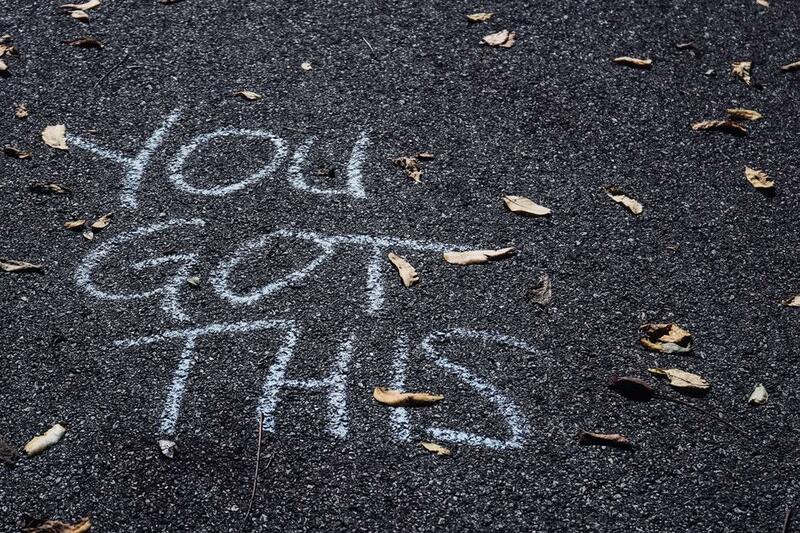 If you’re waiting to start a blog, there’s no time like the present. Reach out to Posts By Ghost today and we can help you get started with web content that works as hard as you do!